What’s The Difference Between Freight And Shipping? Shipping, shipping, shipping! Everyone who shops online (so, everyone, basically) is familiar with the scramble to check shipping costs, look up the minimum purchase requirements, and get the most bang for their buck. Getting into the weeds of the shipping process may not be the most exciting thing, but it can be useful to understand when dealing with larger items. Understanding can alleviate frustration at higher costs and longer wait times: keeping your expectations realistic is often the best way to have a smooth online experience no matter what you’re buying. As a general term, shipping means everything! If you buy it online, it will be shipped to your home. From a logistical standpoint, though, shipping refers to the transport of smaller goods. Books, small electronics like phones and tablets, clothes, toys, toiletries and cosmetics, and all manner of things are shipped, because they’re neither large nor heavy. Small parcel shipments [under] 70 lbs per and shipped in your own packaging or carrier supplied boxes. These shipments are not sent on pallets and often move through a small package shipping system with carriers such as UPS, FedEx, Courier Service, or DHL for international. Freight is reserved for items that are bigger and heavier than small parcels. Like, for example, flooring! Freight shipping is the process of transporting commodities, goods and cargo by land, sea or air. Common types of freight shipping over the road include truckload, less than truckload (LTL) and intermodal. Freight itself can be defined as the goods transported by truck, train, ship or plane. The means of transport commonly associated with freight shipping are trucks, railroad cars and large ships carrying containers. Most freight is shipped on wooden pallets. Pallets serve numerous purposes like protecting cargo, making it easier to load and unload, and maximizing space during transport. The material is strapped or shrink-wrapped to the pallet in order to stay in place. At Floors To Your Home we use shrinkwrap. They’re reusable, recyclable, and often find second lives in home decor projects when their working days are done. Wooden pallet projects are very popular in DIY circles, as you can see here on our Pinterest board. We use LTL to transport our freight. That’s “less-than-load” freight, or less than a semi truck’s trailer load of freight. While freight can and often does ship worldwide and across the ocean, we focus on shipping within the continental United States. LTL is used for things that way between 150 and 15,000 pounds, so there’s a huge range of items that travel by LTL. LTL saves money because instead of paying for a whole trailer, you’re only paying for the space your cargo takes up. At Floors To Your Home we’ve been using LTL shipping for many years, which has allowed us to build quality relationships with numerous freight companies to get the best deals for our customers! This is part of why we’re able to prorate our shipping costs all the way up to free. Prorating, for those who aren’t familiar, means shipping gets cheaper the more you buy. For example, one carton of flooring might cost $100 to ship. Two cartons would cost $190, three would cost $280, and so on, all the way down to free. We prorate all orders on free shipping products that don’t meet the minimum purchase requirement. Usually that’s 25 cartons, but it does vary. Why Does This Matter To Customers? Flooring isn’t an expense like groceries or clothing. It’s an investment. The associated costs are part of the investment. We don’t believe in surprise costs; being upfront is part of our business model and a key to our success. We go to great lengths to insure our customers understand every step of the process, from browsing to buying to shipping to delivery. We’ve even got videos detailing what to expect when your flooring arrives. If you have any questions about shipping, freight, costs, or anything at all, don’t hesitate to ask! Unfinished hardwood is, as its name suggests, an unfinished raw material. While the wood has been milled into planks of flooring, no stains or protective coatings have been applied, leaving a virgin surface. Wait…isn’t finished material the point of buying floors? Yes and no. It depends on what you’re looking for. Some people want the most customizable floor possible: they want to choose everything from the stain color to the surface finish. Customizing unfinished hardwood yourself takes away the hassle of searching for an exact match, since you can stain and finish the floor to match your home. In addition, depending on the wood species in question, the flooring material may only be available unfinished. This is particularly true of more exotic species. What does an unfinished hardwood floor need? If you’re looking to change the color of the material, you’ll start with a stain. Next up you’ll need a finish like polyurethane. Research is important in determining the right stain and finish that suit your flooring needs. How much can I really customize unfinished hardwood? The options are limited only by the material’s natural boundaries. Unfinished hardwood is the ultimate in unique flooring: if you’ve got the imagination and the means, you can make the hardwood floors of your dreams. Hardwood flooring is an enduring classic and with good reason. It’s beautiful, strong, and capable of a long lifespan in your home with the proper care and maintenance. What, you ask, is the proper care and maintenance for hardwood floor? Hardwood is not a waterproof flooring material. While it’s easy to care for, it does need to be handled differently than a vinyl or a porcelain tile. Hardwood is natural, from trees (duh) or, in the case of bamboo, from grass, and therefore is subject to the same expansion and contraction from moisture. You can use the same cleaning procedures for an engineered hardwood floor and a solid hardwood floor. At least once a week give your hardwood once-over with a dry duster like a Swiffer to pick up dust, pet dander, or debris that could scratch your floor. If you prefer to vacuum, be sure to use one without a beater bar. The frequency with which you do this depends on your lifestyle and your home’s inhabitants: a single person living alone will be fine dusting their floors once a week, but someone with pets and children may need to do it more frequently. For a more intense clean, switch from the dry method to a damp method. You’ll need a liquid cleanser like Murphy’s Oil Soap and a damp rag or mop. The key here is damp, not wet; dip your implement into your cleaning solution but be sure to thoroughly wring it out before putting it on the floor. Rinse your mop the repeat this procedure with clean water. It’s important to note that you should always be sure to check the flooring manufacturer’s website or instruction manual to see how they recommend cleaning your hardwood floors. Always follow their instructions! If you’re interested in a green cleaning method, why not try a spot of tea? Boil a pot of water and steep two black tea bags. Then, damp-clean your hardwood like you would with any other solution. Black tea’s natural tannic acid brings a great shine to hardwood. Curious about more green cleaning? We’ve got a whole post about it here. Caring for your hardwood floors doesn’t have to be difficult, expensive, or time-consuming! All it takes is a little bit of regular maintenance to keep your floors beautiful for life. What’s The Best Floor For Dogs? We got this question over on our Facebook page the other day, and since it’s a pretty common line of inquiry, we decided to post it here too! What flooring do you have that you would recommend for someone who has two dogs? There are a couple things we’d recommend. Waterproof vinyl is a classic choice. WPC vinyl is very sturdy, waterproof, tough as nails, and great for dogs of any size but especially bigger dogs. Rigid Core vinyl is in the same category, waterproof, tough, and gorgeous. It’s a recent addition to the flooring market and is very popular with busy families, pet owners, and more. It’s less flexible than traditional vinyl (hence the rigid! ), so it’s extra tough against dogs of all sizes, even larger breeds like Great Danes, Irish Wolfhounds, and French Mastiffs. Laminate is very tough but it’s water resistant, not waterproof. It may be worth looking into if you’ve got smaller dogs. Look for a wear layer in the description and specs, it will give you extra protection. Got any more questions about choosing the right floor to fit your needs? Call, click, or email us today! Our dedicated flooring experts are standing by. Sound Transmission Class. This is the most common unit in North America for airborne sounds like speech, dogs barking, and outdoor traffic to name a select few. STC ratings indicate a material’s ability to absorb sound: the higher the rating, the better the material. This rating is used for a lot of building materials. In order to reduce noise level, building codes and home owner’s associations frequently have a minimum STC rating requirement for their materials. Impact Insulation Class. This measures how much an impact sound travels through a material. In some cases this measures how much of the sound travels to the room below. Just like with the STC rating, a higher number indicates better absorption. To offer a visual, imagine dropping a book onto a hardwood floor and the thunk you’d hear. Now imagine dropping that same book onto a carpet. It would make a much softer and more insulated sound. The carpet would have a better IIC rating than the hardwood. Noise Reduction Coefficient rating. This measures how much sound is absorbed by a material and doesn’t reflect back into the space at large. Since sound travels in waves, it bounces off of hard surfaces like flooring and walls when it’s not absorbed. A higher NRC rating indicates how efficiently a material can absorb sound. Vinyl, cork, and rubber are some examples of floors with high NRC ratings. What’s The Best Way To Reduce Sound Pollution Inside? • Add Some Throw Rugs. Not only do they add variety, but they help reduce noise from foot traffic as well as absorbing sound traveling up through your hard surfaces. • Seal Gaps. One sneaky way sound travels throughout your home is under doors and through electrical outlets. Even little openings like outlets provide sound waves with ample room to bounce around, so plug them up while you’re at it. What’s The Best Floor For A Daycare? We got this great reader question the other day, and it deserved its own post! I am looking to open a daycare. The current floor had dirty carpet on it. I pulled it up and have plywood floors! I need an easy, cheap and easy-to-clean for children. Any suggestions? Oh, yes! Yes we certainly have a few. First, let’s look at this person’s lifestyle. They’re renovating their space to open a business, a commercial area as opposed to a residential one. That means they need a floor that can withstand heavier foot traffic, as more people will coming in and out. It also means they’ll want a floor better suited to things that get tracked in on people’s shoes, like dirt, water, and debris. Next, they tell us about the business they’re going to start: a daycare. In other words, a business with kids, fun, and a little bit of chaos! Any floor in a daycare will need to stand up to a lot of wear and tear; it also needs to be easy to clean in case of spills, accidents, or who knows what else. Life with kids in a nutshell. So, what are the options? We can rule out carpet right away. Hardwood, although gorgeous, isn’t the best for commercial spaces, as it can scratch and scuff. Porcelain is waterproof and easy to clean, but it can crack if heavy objects are dropped on it and it’s very slippery when wet. From a solely durability perspective, laminate is your best bet. It’s strong, stable, available in a huge range of colors, and it’s water resistant. The key word there? Resistant. Modern laminate is much better than it used to be about water and spills due to advances in protective coating and sealing, but the inner core boards underneath will still soak up moisture like a sponge if they’re exposed. New advances in flooring technology recently brought us the most water resistant laminate on the market (link); it’s even got a 48-hour water warranty, a first for laminate. If you decide to go with laminate, be sure to check the AC rating (link to RC). That’ll tell you how durable the floor is, and while they’re all pretty dang durable, you’ll be surprised at just how much of a beating laminate can take. If you want a waterproof floor, you want vinyl. You can literally overflow a bathtub onto vinyl flooring and clean it up without any trouble or flooring damage. Vinyl used to be available in sheets only, but thankfully for your style and your wallet it’s come a long way since then. Today’s vinyl isn’t the spongy mess of yore; instead it’s sold in sturdy planks and tiles designed to look like wood or stone. 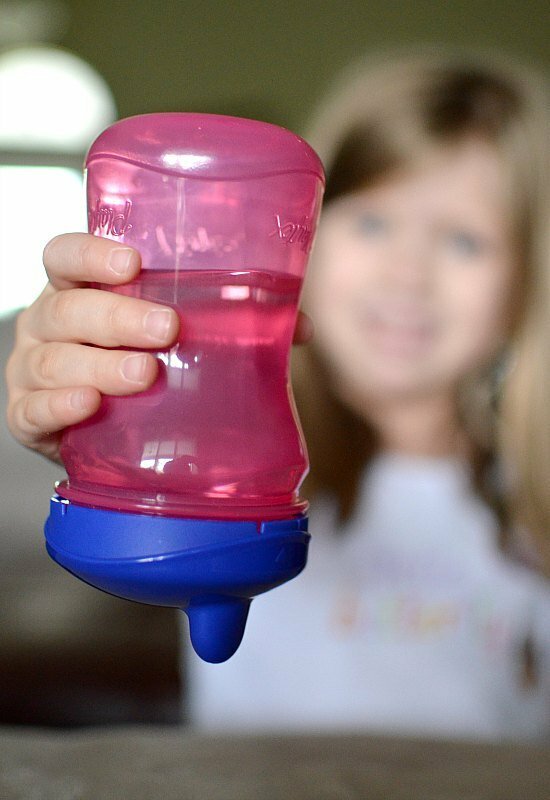 It’s also highly durable and a top choice for pet owners because it’s so easy to clean. Vinyl is one of your best choices for a busy environment like a daycare; it can handle the delightful chaos that inevitably results from daily life with kids. It’s easy to care for, easy to love, and easy to install. If you want to go one step further, there’s WPC vinyl. WPC is a virgin (non-recycled) material that’s engineered specifically for toughness. Thicker than normal vinyl, WPC floors frequently have attached pads like premium cork to ensure a softer and quieter sound underfoot. It’s the closest thing on the market to a waterproof laminate! Do you have specific questions about the right floor for your home or business? Call our flooring experts at 1-800-804-5251 today! What Is The Eastridge Finish Warranty? What is Eastridge Hardwood Flooring? Each floor model in the Eastridge line is made on the same lines with the same materials as their First Quality counterparts. Eastridge products are selected out during the manufacturing products due to natural hardwood characteristics that come directly from the trees themselves. These characteristics include mineral streaks, knots, and grain variations. In addition, Eastridge products may have manufacturing anomalies like color variations, edge defects, shorter planks, and uneven finish. I Thought Cabin Grade Flooring Doesn’t Include A Warranty? Often Cabin Grade floors don’t come with warranties. This is one of the things that make Eastridge stand out from the crowd, though: it’s Cabin Grade flooring that’s backed by a five-year manufacturer’s finish warranty. That’s right: a manufacturer’s warranty. This major flooring manufacturer believes in their Eastridge products, so they decided to stand behind them with a finish warranty. What Does A Finish Warranty Cover? In other words, the finish warranty is more self-explanatory than it seems. It covers the floor’s finish and warrants that said finish will not wear through or peel off of the hardwood flooring under normal residential usage conditions when the manufacturer’s maintenance instructions are followed. Our Eastridge hardwood floors come with a five-year manufacturer’s finish warranty. Does This Mean Each Plank Will Look Perfect? No. You’re still purchasing Cabin Grade flooring, so expect those same characteristics and imperfections and plan for the standard 15-20% extra when calculating how much material to buy. You can learn everything you need to know about Cabin Grade flooring here. Should I Be Nervous About Buying An Eastridge Floor? Absolutely not! Eastridge hardwoods are great products at incredible prices. We recommend reading up on Cabin Grade hardwood and looking at your flooring needs while you decide if Eastridge is right for you; as always our Flooring Experts are standing by to answer your questions. Just call 1-800-804-5251 or click on FloorsToYourHome.com to chat with them, and they’ll help you find the floor of your dreams at an unbeatable discount price. Favorite Floor Favorite Pet Contest! We love customer photos, and we love customer photos with pets so much we’re hosting a contest to celebrate! Send us your best shot of your pet on your FTYH floors and you could win a $100 Amazon gift card! Post a picture of your pet on any one of the Facebook posts linked below on your floor to win! Be sure to share this post with your friends! Post a picture of your pet on your floor on our Facebook post for your chance to win! Be sure to share the post with your friends! Share your favorite photo below for a chance to win! Here’s some of our entries so far! GOOD LUCK! The five pictures with the most votes will win their contestants a $100 Amazon Gift Card. The winners will be announced on our Facebook page on Tuesday, September 19th at noon EST. 1. Photos must be your own work. Above all, have fun! We’re so excited to see what you come up with. 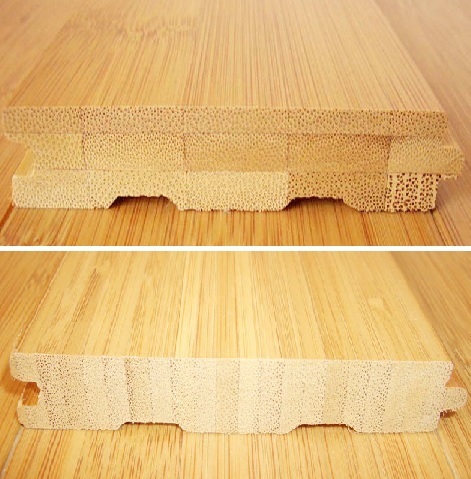 Next up in our “How Is That Flooring Made?” series we have…Bamboo! Contrary to popular misconception, bamboo isn’t a tree or a hardwood…it’s a grass. Various species of bamboo can be found in many parts of the world, primarily in areas with tropical humid climates. It’s a plant of high renown and cultural significance in south Asia, east Asia, and southeast Asia. In addition, bamboo also one of the best multi-taskers of the plant world, used for food, building material, scaffolding, and now flooring. Bamboo scaffolding in Hong Kong. The tensile strength of bamboo rivals that of steel alloys, concrete, and graphite. Bamboo’s growth speed also far outpaces traditional hardwood: an oak tree may take up to 40 years to reach maturity, while a bamboo stalk can be ready for harvest in as little as three years. Not bad for a grass! Although bamboo can be harvested after only three years, a longer maturation period – closer to six years – is preferred. After the stalks are harvested, they’re then milled to remove the tough green outer husk, and cut into long strips. Next, the strips are boiled. This removes any impurities like dirt or grit along with bamboo’s natural starch and sugars, which makes it less appealing to pests like termites. The boiling process also helps reduce humidity-based expansion and contraction in the future. Next, there’s a choice of processes that the material can undergo. Carbonization via steam pressure will darken the planks, while uncarbonized bamboo can be stained or left at its natural color. Regardless of whether the bamboo is carbonized or not, it’s kiln-dried to remove the last of its moisture. Once the planks are dry, they’re milled to include tongue-and-groove installation and protective coatings like aluminum oxide. All are made by fusing the treated bamboo strips together with either glue or resin. Cross-section of a horizontal plank, top, and vertical plank, bottom. Diagram from Starcraft Custom Builders. The horizontal sides (the widest sides) of each bamboo strip are glued together, face up, and then laminated for uniformity. Since they’re placed face up, some individual characteristics like growth knuckles may be visible, much like a knothole in hardwood. These give some uniqueness to the finished look. This follows the same principle as horizontal grain planks, except the vertical sides are glued together. The vertical lines give a visual appearance that’s similar to a hardwood grain pattern; vertical planks are laminated like horizontal planks, in order to achieve uniformity and consistency. This one is much more self-explanatory than it might seem at first glance. Bamboo remnants are woven together in a cross-hatch pattern and then compressed together. The result is an grain pattern that’s distinct from traditional hardwood. Sometimes it can be subtle, other times it can be “tiger stripes” levels of contrast. Strand woven bamboo is a popular choice, not only because of its high durability – around twice as hard as other bamboo floors – but also because it’s such a green material. Those bamboo remnants used in the planks would otherwise be considered waste material and discarded. The final product is smooth, beautiful, tough, and UV resistant. How Do I Know If Bamboo Is Right For Me? Bamboo is a great choice for consumers looking for a green flooring material that doesn’t sacrifice beauty. It’s a neat alternative traditional hardwood that can stand up to busy life. What’s So Great About Luxury Vinyl? Show of hands here, friends…who doesn’t love a little bit of luxury in their lives? When it comes to flooring, luxury is frequently associated with exotic solid hardwoods (link) like ebony and mahogany that set the bar for both beauty and expense. While there’s nothing wrong with solid hardwood – it’s a classic for a reason – it’s also not right for every home, and certainly not for moisture-prone areas. This is where Luxury Vinyl Tile (LVT) gets its chance to shine. Titan Gray Slate Click Together Luxury Vinyl Tile Flooring. WHAT ARE THE ADVANTAGES OF LVT? •It’s easy to care for. Sounds awesome, right? Let’s take a closer look. Like all vinyl floors, LVT is 100% waterproof and won’t warp in the unfortunate instance of a flood or natural disaster. This is a great choice for moisture-prone areas in your home like bathrooms, kitchens, and basements! Unlike hardwood, LVT doesn’t expand or contract when exposed to moisture or high-humidity environments, so it’s a great choice for folks in more humid climates. All too often, “luxury” becomes synonymous with “expensive.” That’s not the case with LVT! The timeless style of exotic hardwood, elegant marble, and many more can be yours at a fraction of the cost. No one wants to dedicate a huge chunk of their time to floor cleaning, and with LVT there’s no need to! A quick once-over with a broom or a duster like a Swiffer is enough for daily maintenance; a more thorough clean can be easily achieved with a damp mop, neutral-pH cleanser, and a water rinse. There’s no need for harsh chemicals with LVT: in fact, they should be avoided entirely for the health of your floor. Always read the manufacturer’s instructions and follow their recommendations for your specific model of LVT. Check out this post to learn more about how easy it is to take care of your vinyl floors. Most, if not all, LVT floors feature transparent wear layers that provide an extra level of protection against impact, stains, scratches, and wear. They won’t chip, warp under high-moisture conditions, or turn unsightly yellow with age. Spills and accidents are easy to clean up; even issues like pet accidents and water bowl spillage are no problem! Claws won’t scratch or get trapped between planks; these floors will stand up to wear and tear from even the biggest dog breeds.